The idea of swimming on top of freshly mown grass which has been swamped by fresh water conjures up ideas of the simple and care free nature that comes with being a child. This scene, amongst others in Swimming on the Lawn by Yasmin really sums up how beautiful childhood can be when we are free to take life slowly, not worry about money, war or jobs and just play with our friends and imagination. 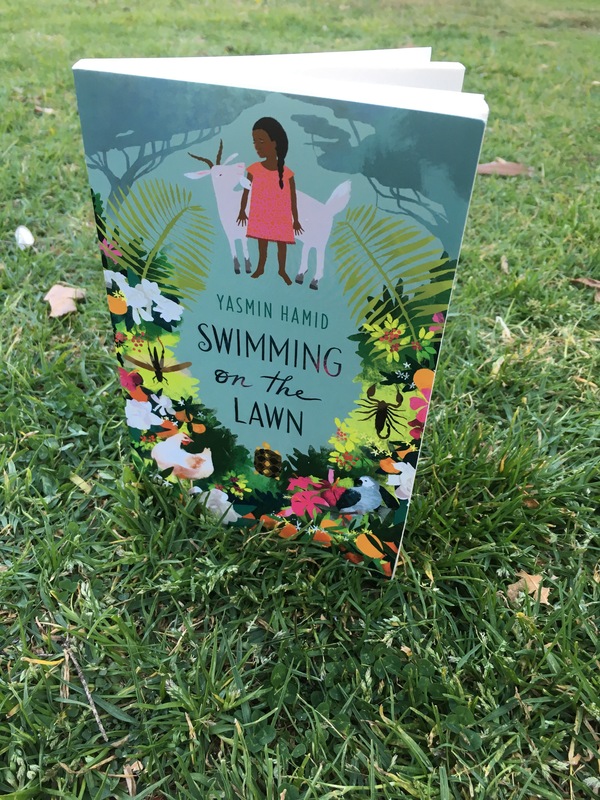 Swimming on the Lawn by Yasmin Hamid is a cleverly written fiction book written for 10-15 year olds. Written from the perspective of young Farida, the reader explores life in Sudan before the war consumes the nation. Farida is a carefree, playful and imaginative girl who not only enjoys helping her mother around the house also enjoys learning about the world around her. Farida has an English Mother, A sudanese Father and sister and two brothers and experiences traditional Sudanese culture on a daily basis but also learns English and some western ways from her mother. Hot beans for breakfast, endless cups of tea, outdoor meals and stifling heat are all part of growing up in Sudan. Visits to the local library by foot, picking oranges with neighbours and helping out with a friend’s mother birth are something perhaps foreign to many children in the western world. Through the eyes of Farida we learn about the Sudanese traditions of prayer, mourning ceremonies and important religious days. 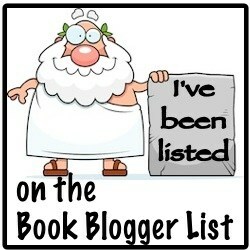 The reader is also exposed to each chapter being written in English and Arabic. Swimming on the Lawn is a quiet read and through the simple short stories there is so much to learn about a life devoid of electronic devices, fast food and a fast life. The childhood of Farida and her siblings seems idyllic until the war begins – and we all know where that has led the nation that once flourished. Fremantle Press have provided some thought provoking teacher notes for you to use. It is a great book to debrief about and explore more about how children in other countries live. 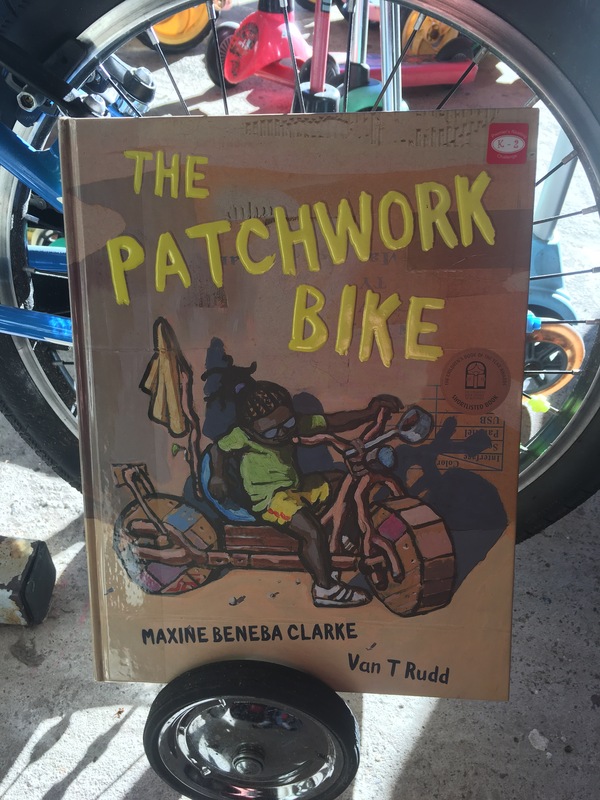 This book can be used to ignite children into thinking about how they can make their life a bit slower and a bit more playful. Red and Yellow and Pink and Green, Purple and Orange and Blue…. 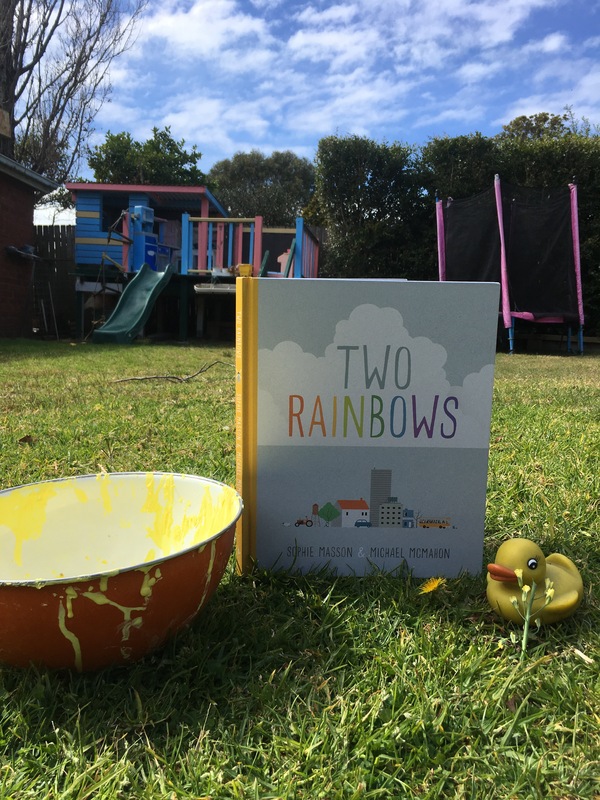 Two rainbows by Sophie Masson and Michael McMahon is a stunning picture book for readers to learn to explore colour in their every day lives. 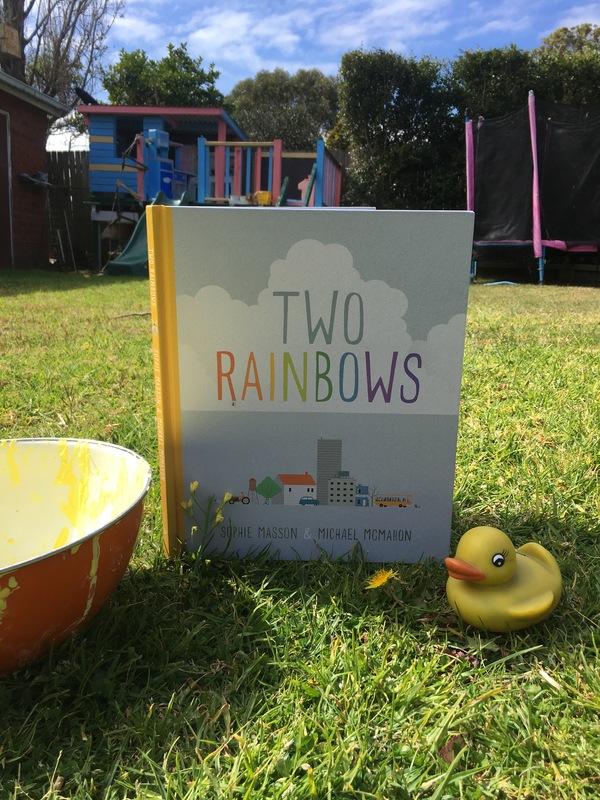 Published by Little Hare books, Two Rainbows explores life in the city and in the country and how colours that are in one place can be completed different in another. Colour is all around us and every moment of the day the colours can be different. As we read we see that the same colour can be seen in different places and the comparison between city and country colours shows that the same hue can be seen in many different ways-both built and natural . Everyone loves a rainbow – no matter where it is people always stop to admire, take a photo or just ponder that mythical pot of gold at the end must be out there, somewhere. This story also allows us to show our children that colour is everywhere, even when days seem dark, lonely, sad or hopeless – there is always colour even in the greyest of cities. Michael McMahon’s illustrations are simple yet powerful. The simplicity of each picture highlights the colour in our world. Perhaps it shows us how much of a role colour can play in our lives – even when are all so small in terms of the space we each take up. The illustrations also show the beauty and freedom of the countryside and the dull, busy city life many of us lead. Perhaps this story might encourage city dwellers to get outside of the city boundaries more often – and see how those colours become so much more alive when they are in their natural state. 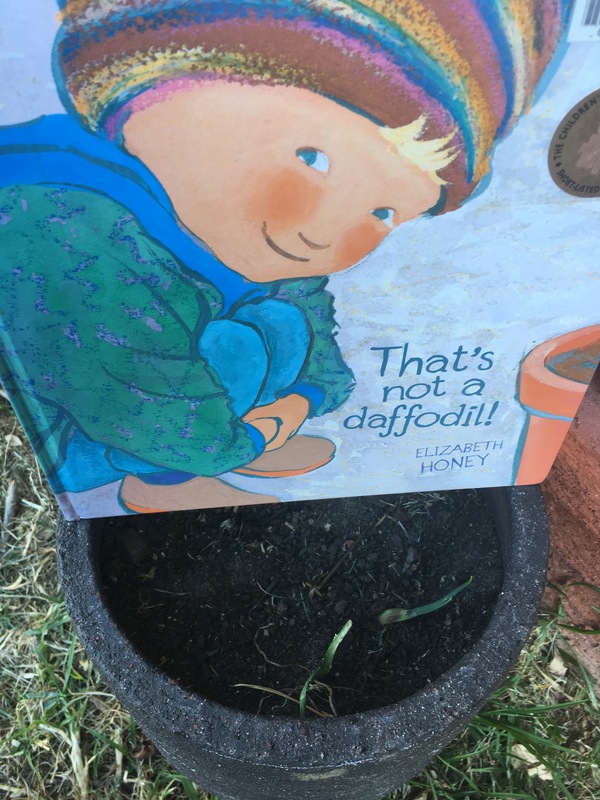 Take the time to read this book with your child and learn to appreciate how even though different may form the same shade, they can give us a different feeling. Get outside into a natural environment and explore colours. Compare the different green leaves on the same tree, Look at the different shades of flower petals and feathers on birds. How can you add more natural colour to your home or local environment? Explore the use of natural colours – make your own and create your own Two Rainbows style book. Use beetroot, potato, clay, spinach and carrot!! Using natural colours ensures that less chemicals are going down the drain. Thirst by Lizzie Wilcock was on the shortlist in the Wilderness Society’s Environment award for children’s literature. I loved reading this book from start to finish. Perhaps I am a little biased as I do love the Australian outback and the flippant nature of it. I love the sense of freedom and would love to learn more about bush foods and bush survival. The two main characters in this story had their troubles but were so strong in their ability to survive under dire circumstances. This is a great book for older readers and I think all students will love it. Thirst follows two young children on a journey through the Australian desert. The imagery in the story is amazing and you can really feel that you are a part of the outback. Kuranda and Solomon come across many difficulties both physical and mental as they search for freedom and somewhere to call home. There are lots of layers in this story but they’re not complex to unravel. I loved that it showed the kids’ deepening love for the outback environment while never trivialising the harshness of it. It might even inspire your family to take a trip into the desert to learn about the wonders that abound in it. Grab a map of Australia and work out where Kuranda and Solomon may have been. Explore the six seasons of Kakadu. What is bush food – could you survive in the desert for days or weeks? Explore foster care – discuss the pros and cons of the system that is currently in place. Look at the emotional effects foster care can have on children – both positive and negative. Plan a family camping trip. Work out what you would need to take for at least 3 days of camping where there are little amenities. Bronwyn Bancroft’s poetry brings the vibrant colours to life as we sail through shadows,ferns, clouds and raindrops. Each page brings another part of Australia to life with shades, hues and patterns. As you read Colours of Australia, a calmness sweeps over the readers, immersing them in the Australian landscape. We loved reading this story, looking at the different shades of colour and wondering about the beauty of Australia. This is an excellent resource for anyone who wishes to link picture books to nature through Indigenous art techniques. So how does this link to sustainability? This book encourages us to go outside – everyone! There is so much research pointing us in the direction of outside play. We need to get more in touch with the land, the plants and the animals that are part of our world. Nature is important in so many different ways. 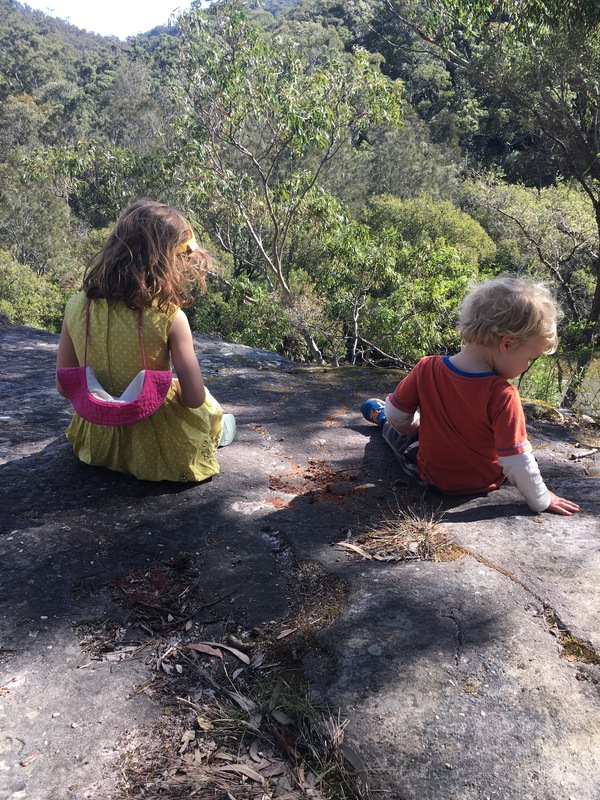 See my blog post on nature play. Compare pictures of some wonderful Australian locations and create them in your own way using colours and shades like Bronwyn Bancroft has. Go to your local paint shop and grab some paint cards. You can find so many different shades of every colour and this can help children to discern between the different shades and how they wish to use them. Look a local river, a river in the daintree, a river in a farming area and a river in flood through the desert. Notice the different colours of the river at different times and different locations. Learn about Bronwyn Bancroft and her amazing artworks. This book contains fantastic vocabulary to start drawing on the importance of synonyms in creative writing. Create your own synonym wall for each drawing in this book. 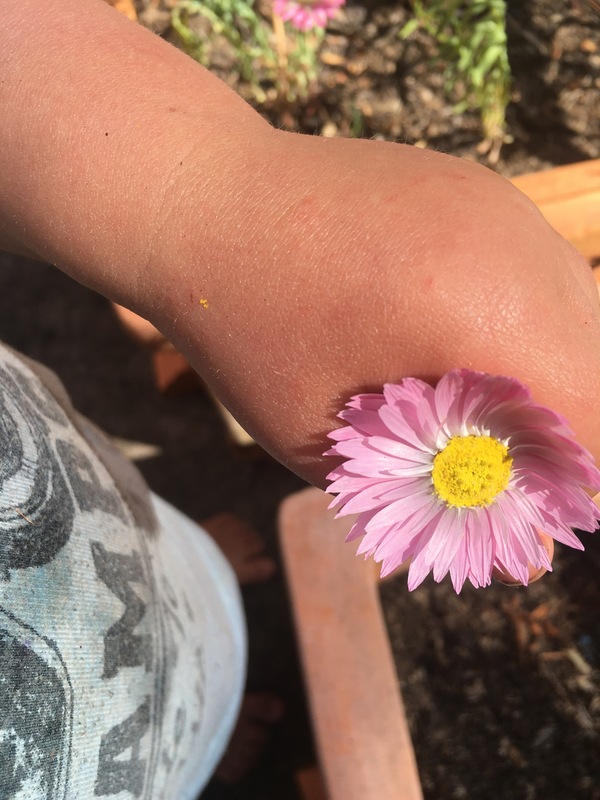 Touch and feel words – which words in this story make us ‘feel’ the word? Discuss and find more of these. How do colours make you feel? What if you had synaesthesia. How would this effect how you ‘see’ colours?